We're thrilled to have Peter Rock join us to talk about his latest novel KLICKITAT. Peter, what was your inspiration for writing KLICKITAT? One of my novels for adults, MY ABANDONMENT, won an Alex Award from YALSA (the Young Adults Librarian Services Association), which meant it was a book ostensibly written for adults that should be recommended to adolescents. In visiting book groups and talking with others, I came to believe that so many adults read Young Adult Literature because it's where the stories are strong, where the narrative is not about the cleverness of the author but about the characters doing things, having adventures. I wanted to try to write a book that was written for adolescents that would cross-over to adults, this time. That, and I suddenly have daughters and wanted to write for them, and I was doing so much reading in this genre that impressed me (see below). The books that really inspired me were the ones I was reading to my daughters. First THE BOXCAR CHILDREN, but perhaps more attuned to my book are the amazing novels of Laura Ingalls Wilder, particularly THE LONG WINTER. Ursula Le Guin's EARTHSEA TRILOGY. And ISLAND OF THE BLUE DOLPHINS, always a favorite. How long did you work on KLICKITAT? Some might say, if familiar with my books written for adults, is that my greatest strength as a writer is a mystery that tends toward the cryptic, and that that is also my greatest weakness. Writing for a younger audience, and with a very sharp editor, made me work harder than ever to be as clear as I possibly could. If it's a pleasure to write, that can be conveyed in the reading. A long work of prose that is generated through reactions to various artifacts from my past, and may be at once a novel and a reflection upon many areas of interest, including but not limited to: open water swimming; letters to old girlfriends; the Loch Ness monster; talking animals; the "bird man of Door County"; isolation float tanks; and the paintings and writings of the watercolor artist Charles Burchfield. Also potential follow-ups to KLICKITAT that are set in Alaska and in Iceland. Plus: secret projects. Peter Rock was born and raised in Salt Lake City. His most recent novel is Klickitat, which concerns mysterious writing, wilderness survival and the relationship between two sisters. He is also the author of the novels The Shelter Cycle, My Abandonment, The Bewildered, The Ambidextrist, Carnival Wolves and This Is the Place, and a story collection, The Unsettling. Rock attended Deep Springs College, received a BA in English from Yale University, and held a Wallace Stegner Fellowship at Stanford University. He has taught fiction at the University of Pennsylvania, Yale, Deep Springs College, and in the MFA program at San Francisco State University. His stories and freelance writing have both appeared and been anthologized widely, and his books published in various countries and languages. The recipient of a Guggenheim Fellowship, a National Endowment for the Arts Fellowship, an Alex Award and others, he currently lives in Portland, Oregon, where he is a Professor in the English Department of Reed College. His novel-within-photographs, Spells, was shown at Blue Sky Gallery in 2015 and continues to travel around Oregon; a book of that project is in the works. 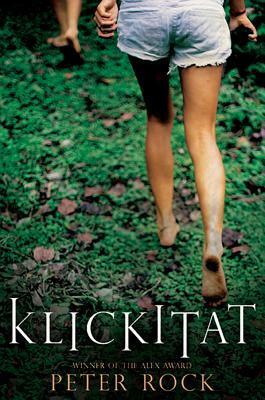 Have you had a chance to read KLICKITAT yet? Are you inspired by the books you read to your children? When you read, can you tell the author enjoyed writing it? Share your thoughts about the interview in the comments!